If you’re looking at mobile accessories that you might need, you should consider getting yourself a power bank. It’s basically a portable mobile charger which makes it easier for you to charge your mobile battery on the go. The power bank capacity can range from different mAh powers as you can get a power bank 10000mAh, power bank 20000mAh or power bank 50000mAh, for example. When you’re shopping for a new portable charger, make sure to check out the best power bank brand because it will mean longer battery life and won’t cause any damage to your phone. Check out our catalog at Jumia Egypt for Samsung power bank, Xiaomi power bank or Remax power bank, to name a few. Get the best power bank from Jumia Egypt and enjoy a wide variety of capacity, brands, sizes and even colors. You are guaranteed a fast charging power bank that will not harm your phone. The battery power bank can charge other devices than your mobile phone, it can charge MP3 players, tablets and any device with a compatible battery. 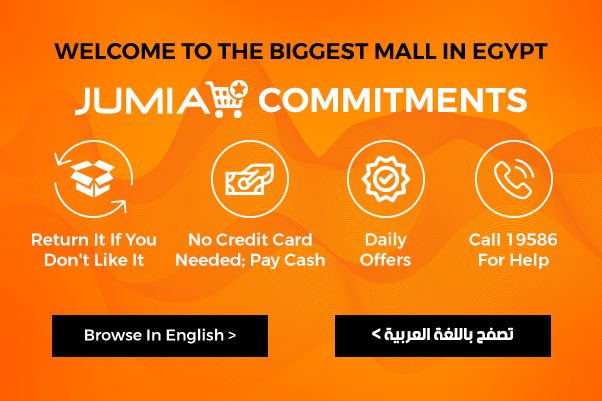 Start shopping at Jumia Egypt today for a battery power bank to enjoy the most affordable prices in the market.